Italian construction firm Pizzarotti is stupefied, bewildered, stunned. 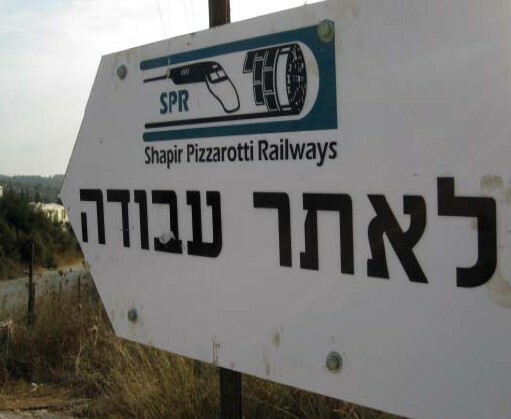 In Italy, “Stop That Train” launches a campaign calling on Pizzarotti & C. SpA to withdraw from the construction of the Israeli high-speed railway crossing the occupied Palestinian territories. Occupied Palestinian Territory, 16 December 2010 - Israel’s A1 high-speed train project designed to connect Jerusalem and Tel Aviv violates international humanitarian law and human rights law. The A1 rail project forms a component of Israel’s ongoing plans to cement its regime of occupation, colonial rule and apartheid over the Palestinian people, particularly in the occupied West Bank.